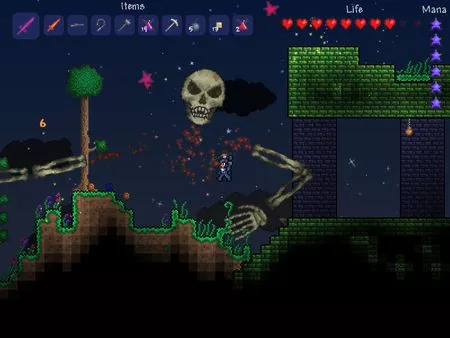 Terraria is a indie action-adventure role playing game released by Re-Logic an independent game studio. 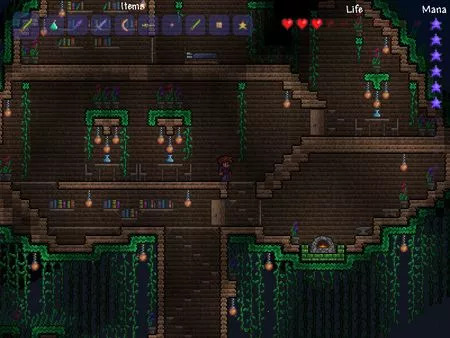 The game Terraria features exploration, crafts, construction, and combat of a variety creatures, a random 2-D world. 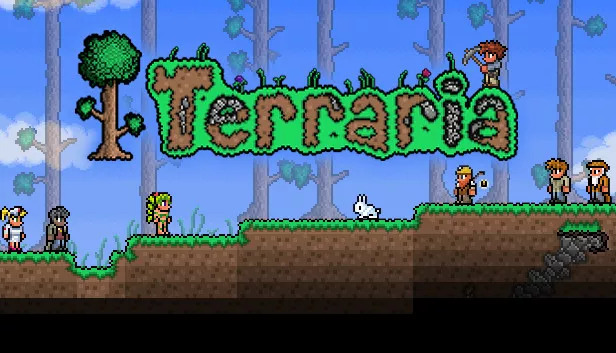 Terraria was released on May 16, 2011, estimated that the game sold about 50,000 copies during its first day of release, with over 17,000 players online at the same time during the peak of the first day. During the week, 200,000 copies were sold of the game, making it the top-selling game on Steam for the week, ahead of The Witcher 2 and Portal 2. It remained number one on Steam for the first six days of release. Welcome and thanks for visiting our site…. is there any way to update Terraria from 1.1 to 1.2? Uninstall previous version if you have one. Run setup.exe and folow the steps. 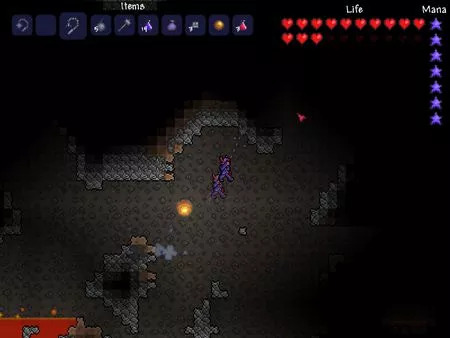 Dude that’s a fun game my first terraria i like it thumbs up for cracking it. there is new versions available.. The game keeps crashing on startup. i assume it is because i dont know where the microsoft files go. Can someone help please? thanks. Easy game works like a charm! Hope this works for you, happy gaming! Whoooohooooo latest terraria version thanks for you great work! love your site admin! How do you get Terraria on the Pc I have watched 3 video’s how to install it but i wont work why not? You can get it by downloading the link we have provided using uTorrent. the latest is Terraria v1.3.0.3… it is gog version so you will just need to double click the .exe. Admin, what should I download first ? there are so many links that’s why I don’t know the which one I should download. Thank you ! Nice updated download link keep it up! Do you have utorrent installed in your computer? If it is your first time you need to read our faqs to know more about it. The link 1.3.3.2 above cant be modded it needs at least 1.3.3.3 or 1.3.4.4. Sorry Edson but thats the latest we can find at the moment for gog…. Sorry about the broken link, anyway we have fixed it and you can download it now… please check…. Hi Admin, the request game page was temporary closed?